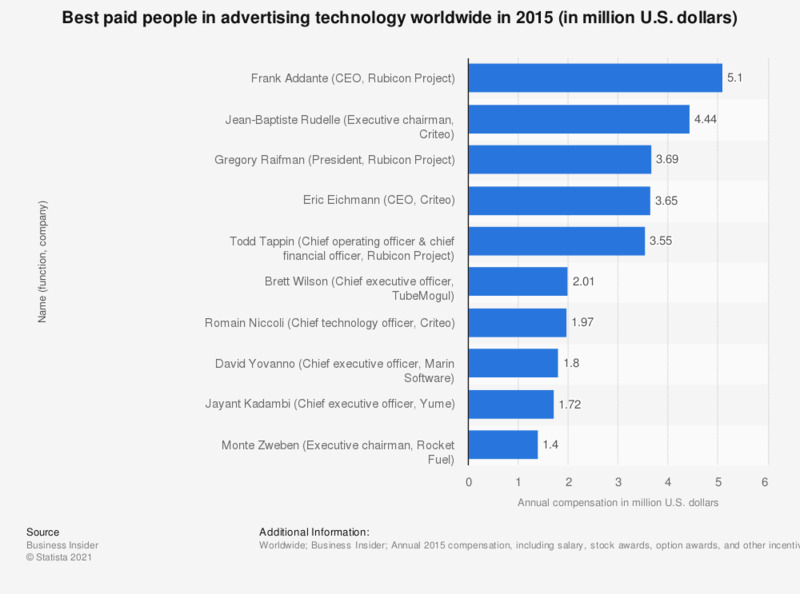 This statistic presents a ranking of the leading people in advertising technology worldwide based on their annual compensation in 2015. That year, CEO of Rubicon Project, Mr. Frank Addante was the best paid, earning 5.1 million U.S. dollars. Annual 2015 compensation, including salary, stock awards, option awards, and other incentives.